Welding Engineering - Ammonite Corrosion Engineering Inc.
Welding is a critical function in the construction of oil and gas industry infrastructure. It is imperative that welds are inspected for defects during and after construction to avoid any possible catastrophies from arising. All welding must be code compliant after construction/fabrication. Preparing inspection and test plans for equipment and piping fabrication. Performing required jurisdictional vessel inspections and/or audits. Verifying construction to design specifications. Assisting in the root cause analysis when defects are found. Reviewing and applying the correct Welding Codes and Specifications can become a daunting and enormous task for those who are not familiar with the standards that apply. 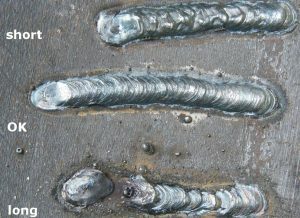 With our experience and knowledge of welding codes and compliance Ammonite will complete Engineering reviews and advise our clients through every step of a project on welding procedures (WPS/PQR) for code compliance (structural, piping, vessel, and pipeline) and welding, non-destructive testing/examination and post weld heat treatments (DHT, ISR and stress relief). Welding Process Selection to ensure optimum corrosion resistance. The use of Advanced Metallurgy Consumables. The use of Internally Clad Piping and effective welding processes. Welding High Alloys and Exotic Metals. Corrosion Resistant Weld Overlay and Alloy Clad Components.